While up in Chiang Mai with visitors last week, I took several pictures that I want to share. It is the height of rainy season and the surrounding countryside was particularly verdant. On the way up Doi Inthanon, Thailand’s highest mountain, we pulled over to snap this picture of rice paddies terraced in a small valley. 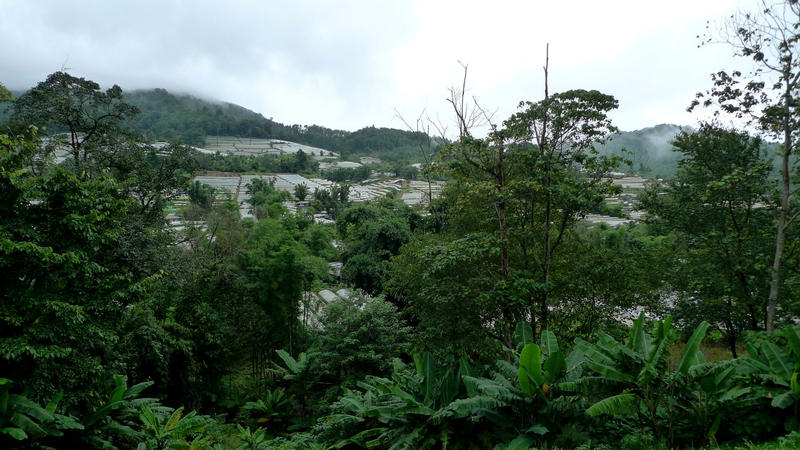 Further up the mountain, we visited the Royal Agricultural Project, which over the last few decades has helped local hill tribes transition from growing poppies (which were used to make heroin) to growing a wide variety of fruits, vegetables, and flowers. 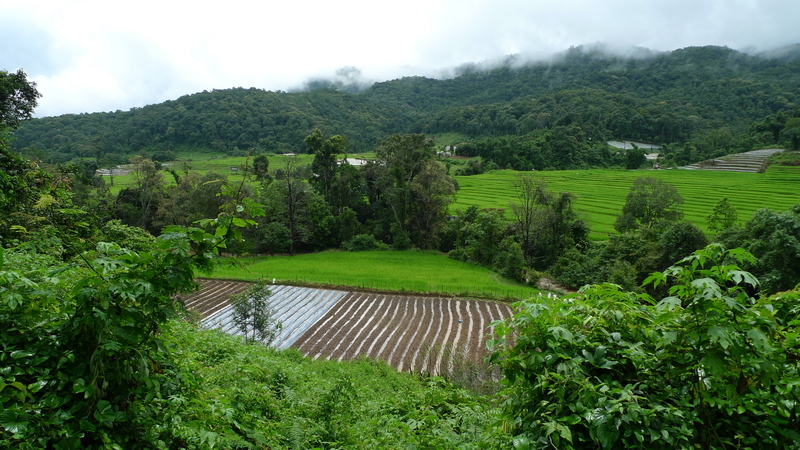 The higher elevation provides a climate suitable for select vegetables that could otherwise not be grown in Thailand. 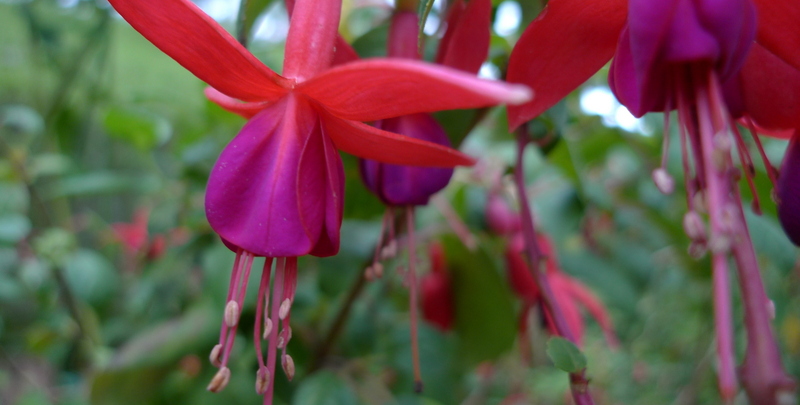 The pictures of flowers below are from the display gardens at the project. 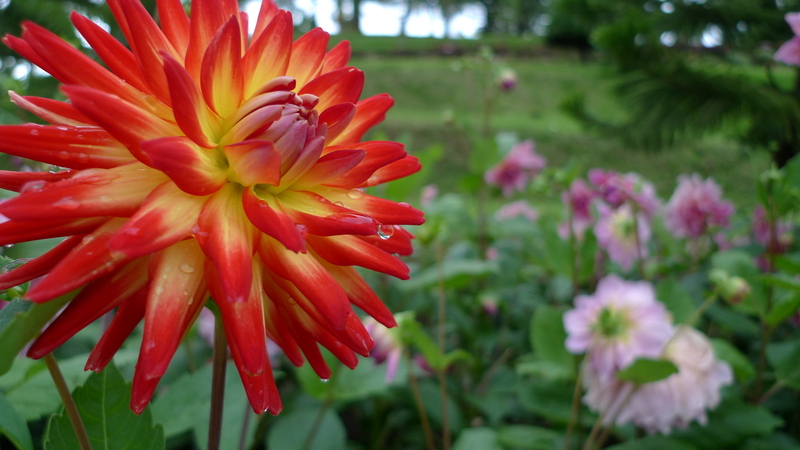 By visiting during the weekdays of the rainiest month of the year, we enjoyed not only the beautiful flora but also the smallest crowds of tourists I have ever seen. In fact, “crowds” is not the correct term. “Handfuls” would be more apt. We also visited Doi Suthep, the mountain immediately to the west of Chiang Mai, which houses a spectacular temple with a golden chedi, or stuppa. This is the second time I’ve visited the temple on an overcast and damp day. The effect is interesting because the gilding is not as bright as on a sunny day, but it contrasts beautifully with the grey skies. In the above picture, I focused on a row of bells the line the temple buildings. Bells are purchased with donations and the donors can write wishes or prayers on the metal leaf hanging from the clapper. On our final afternoon, we drove north of Chiang Mai to the Four Seasons Resort to enjoy afternoon tea overlooking their property, which is designed to look like a rice farming village. I’ll share the pictures of the gorgeous tea service in another post but wanted to share this view of their pretty property. This entry was posted in Thailand, Travel and tagged Chiang Mai, Flowers, Northern Thailand, Rice Paddies, Thailand, travel, Views, Vistas by christao408. Bookmark the permalink. That’s an interesting travel tip. I thought the rainy season would be very difficult to travel. The pictures are really nice – especially the rice terraces. I just love the many shades of green. While it is rainy, it doesn’t significantly impact one’s ability to get around. The lush green is really something. And I didn’t even need to tweak the color! This is paradise. 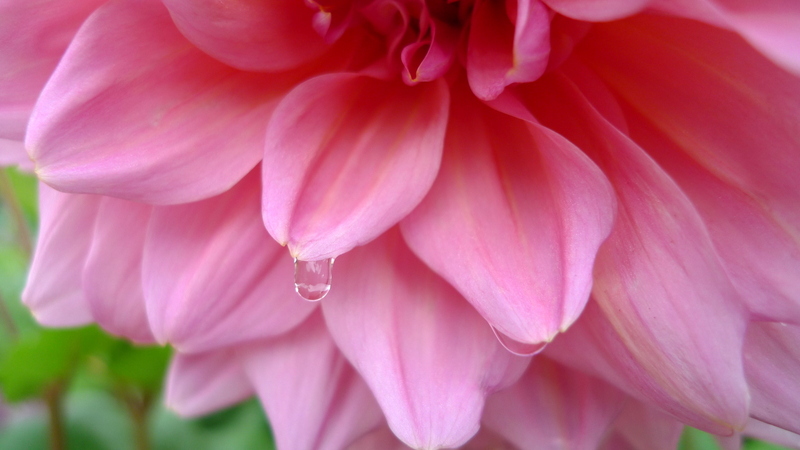 TY for sharing the beauty in photos.